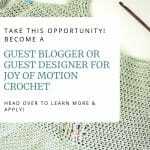 Do you want to become a crochet guest designer for Joy of Motion Crochet? 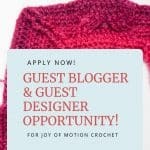 In 2018 I opened the doors for guest designers to contribute on the Joy of Motion Crochet Blog for the first time! Since then I’ve been honored to feature some amazing crochet designers from all parts of their crochet journey. Well, let’s be honest, I love showcasing their talent, let my readers find new amazing designers & let the designers get featured in front of a new audience. 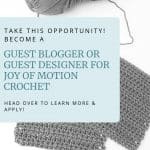 This year I’m planning to grow the Joy of Motion Crochet Guest designer program further. 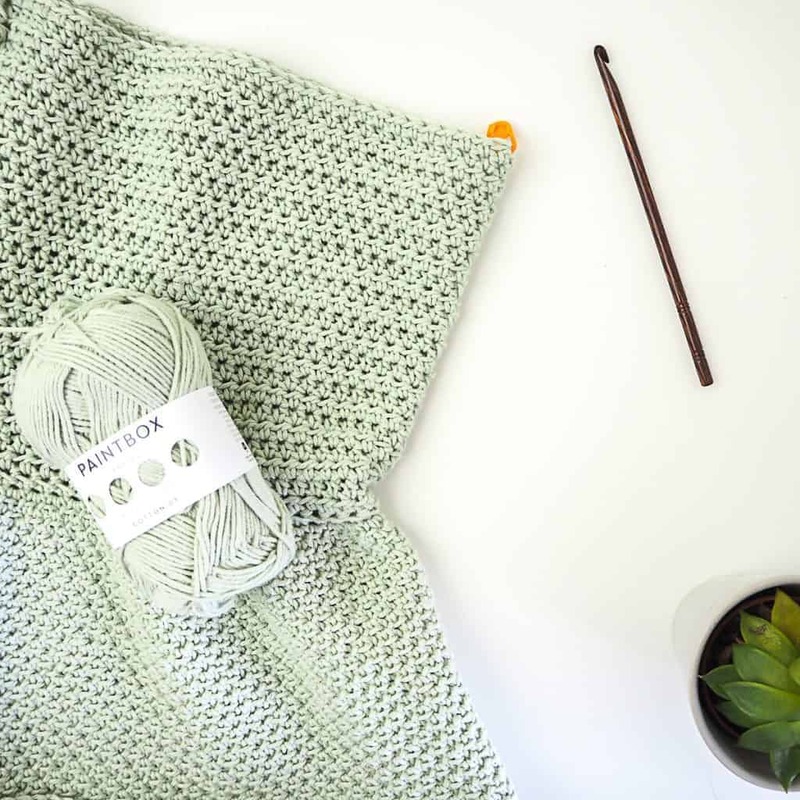 Showcase more designers, more crochet patterns & in that way showcase more crochet inspirations. 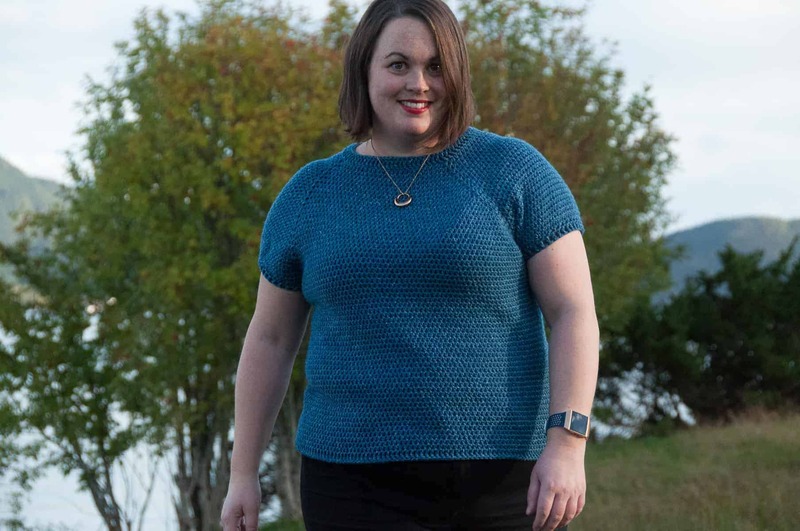 Through this page you can read all about what I’m looking for from a guest designer & also what types of designs I’m looking for. You’ll find information about how to contact me & what to include in your application. After having my blog for a few years I’m realizing that I have an opportunity to give back to others. I want to promote others just as much or maybe more than myself. I want to lift other talented designers up, help them grow & help them continue designing patterns. By accepting guest designers, I’m giving you the opportunity to get more eyes on your skills & your designs. I will make sure to share your guest design(s) in my newsletters, on Facebook, Pinterest, Instagram ect. What content I’m currently looking for? 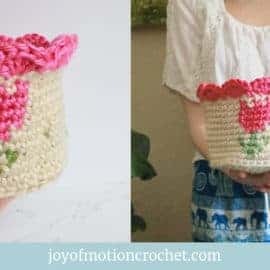 A well written & tested crochet pattern designed by you. 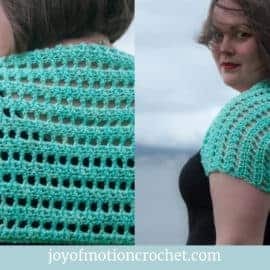 The type of pattern should fit the general style on the Joy of Motion Crochet blog. This can include garments & accessories for women, men or kids. Home & interior patterns. I’m open for suggestions outside those areas, & they will be considered. I want your own voice & creativity to shine through, so share your own spin on things. The better your piece fits my brand, the better it will perform & kick back more traffic for you! You submit your idea & book your preferred publish date to me via Calendly. I review your application & I will respond back to you if your idea is accepted or not. If your design is accepted, you receive a work agreement that you must confirm. You work on your design & submit it to me within the end of the Sunday 1.5 weeks before the publish date. 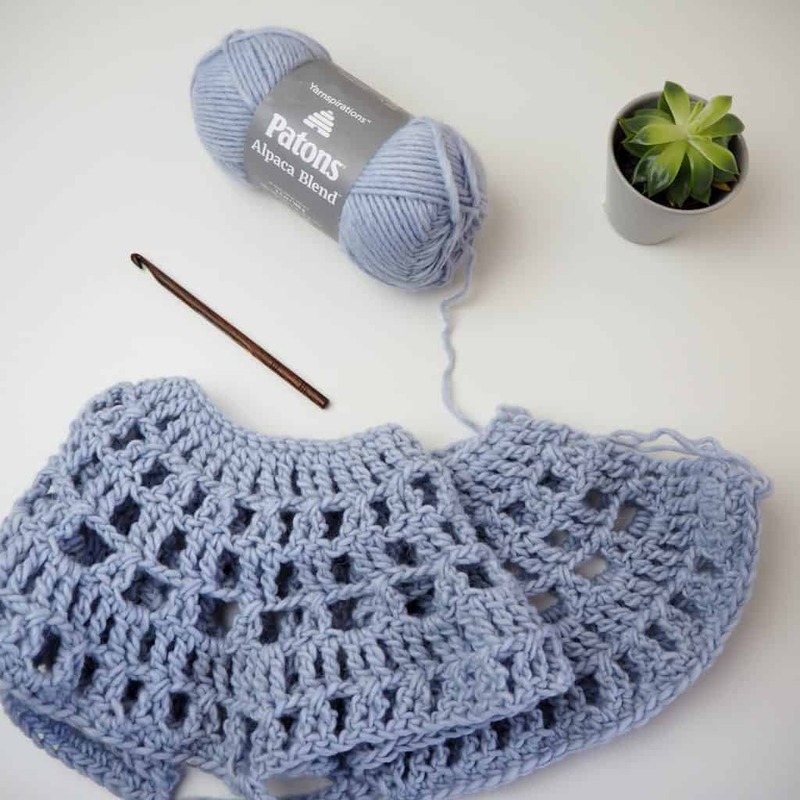 A well written & tested crochet pattern, ready to go. As well as details specified in the work agreement. While designing your guest design, you’re welcome to share sneak peeks & pictures of the design. You’re also encouraged to share the pictures from testers. I will then try my best & follow up & share a few of those pictures as well, make sure you tag me! Promoting the post will be the responsibility for both of us. I will share your post as much as possible & I want you to do the same. The more you promote, the more successful your post will be & this will increase the chance of getting featured as a guest designer again in the future. On the day the guest design goes live, I encourage you to post a blog post about it on your own website linking to the guest design, where you talk about your design. 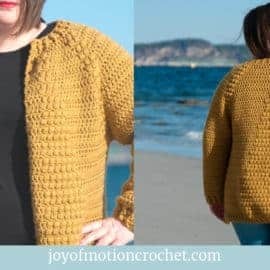 The pattern will be exclusive to the Joy of Motion Crochet Blog as a free pattern for 6 months, after that you can publish it on your own blog. 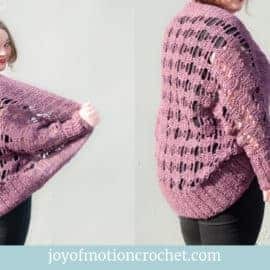 The guest design with the featured pattern will be up on the Joy of Motion Crochet blog indefinitely, as long as the blog exists. 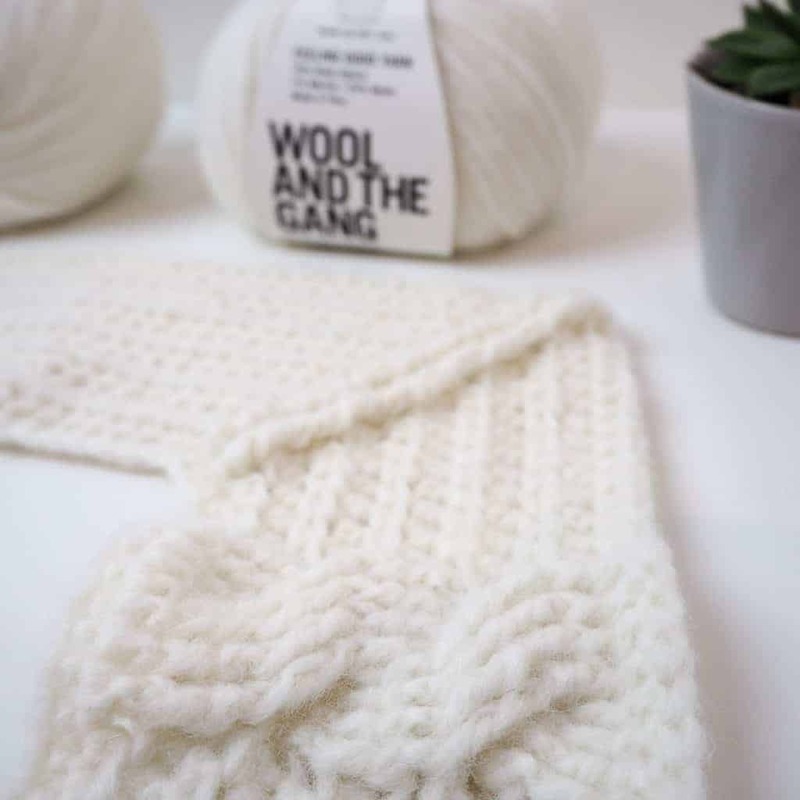 Designer can sell the pdf pattern with the guest design on any other platforms when the post goes live, such as (Ravelry ect.) 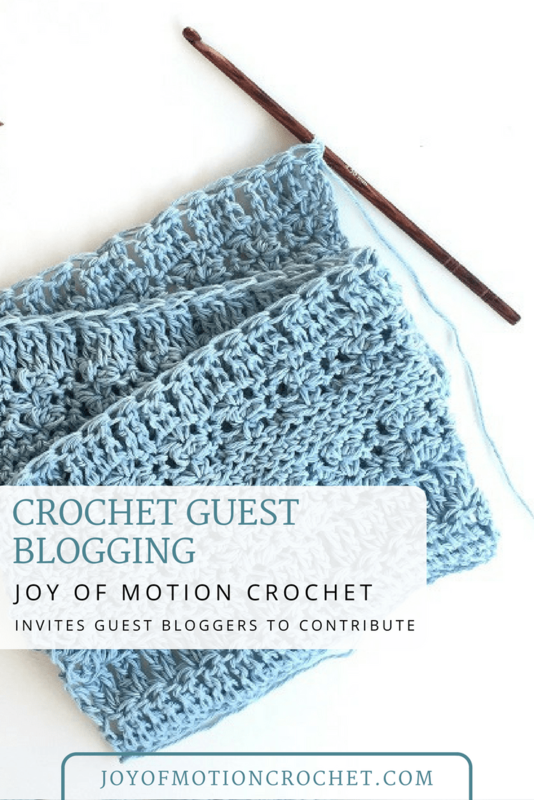 & will be linked inside the guest design post on the Joy of Motion Crochet blog. 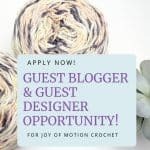 To become a crochet guest blogger or designer: Please submit your idea & book your preferred publish date here. Give me as much detail as possible. Share your website address & social media profiles. Don’t have a website? 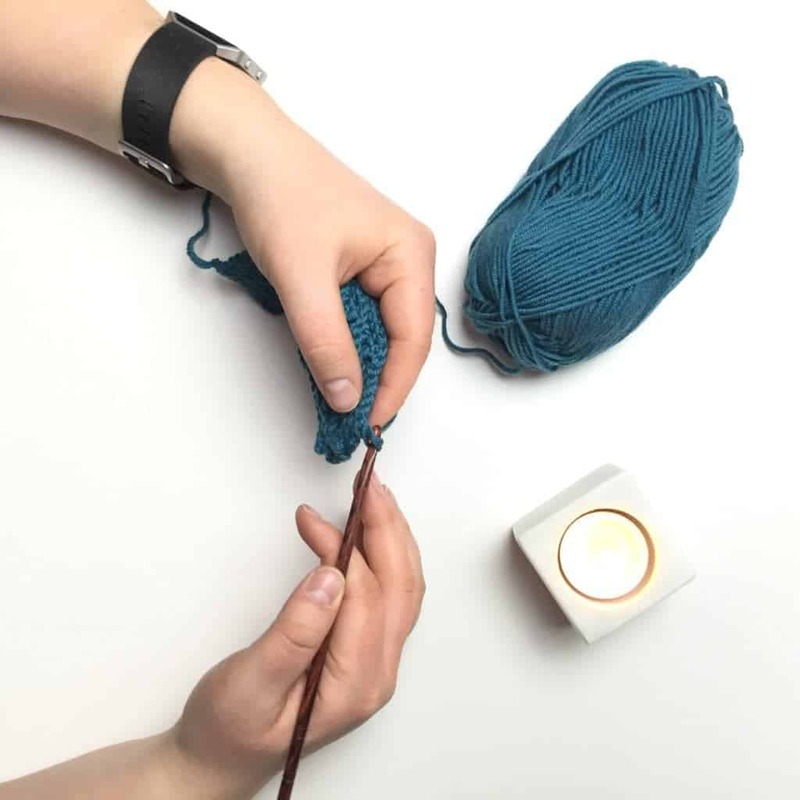 Just an Etsy shop or your social media. Don’t hesitate to send a submission. After reviewing your submission I’ll send you an email to let you know if your idea is accepted or not. If it’s accepted I’ll send your work agreement. Now it’s up to you to produce & deliver your guest post. When I publish a guest bloggers blog post I share those blog posts on social media as much as possible & I expect you to do the same. Treat it like you would when publishing to your own blog.